Fun fact: With the exception of that time I moved to China to teach English, I haven’t checked one bag in my nearly seven years of traveling around the world. I pack light, to be sure, but neither my sense of style, nor my personal hygiene, nor my general preparedness has suffered. My hope is that after reading today’s post, you’ll never have to check a bag again, either. Continue reading to learn just how easy (and fast!) packing light can be. Here’s another fun fact: I never pack more than a week’s worth of clothing, even when I’m traveling for a month of more. Reason being, I’ve never been anywhere I can’t get my laundry done at least once a week. Clothing tends to take up the most space in luggage, so by limiting the amount of clothes you bring, you greatly decrease the overall size and weight of your baggage. Obviously, the first item will be more or less, depending on what time of year you travel. This week I’ll be heading to Alberta, where autumn is very much setting in, so I’ll be packing a pair of thermal underwear, a hoodie, a couple sweaters and beanies, a rain jacket, SmartWool thermals and a warm jacket, in addition to the clothing I usually bring with me on a trip, which you’ll find explained in greater detail at the bottom of this section. As far as my gadgets are concerned, I bring: My laptop and its charger; my camera body, two spare camera batteries and chargers and, currently, three lenses; my tripod; my iPhone; a pair of earbuds; my electric toothbrush and beard trimmer; a universal power adapter; and a power bank. *My typical “week of clothing” consists of the following: 3-4 t-shirts; 3-4 button-down shirts; 1-2 tank tops (sweaters during the cold months); 2-3 bottoms (shorts and jeans during the summer; jeans and chinos the rest of the year); 1 pair of “gym clothes”; 1-2 pairs of sunglasses; and as many pairs of socks and underwear as possible. I utilize a thingamajig called the Hoboroll to keep my clothing organized within my bag. **My toiletry kit, for which I purchased some extra 100ml bottles, includes the following: Face wash, exfoliant, lotion and undereye cream (all from Aveda); toothpaste; deodorant; a contact lens case, solution and several pairs of spare contacts; shampoo, conditioner and leave-in conditioner; a comb; lip balm; sunblock; dental floss; and personal lubricant (sorry if that’s TMI!). Many readers assume I travel around the world with one huge backpack but in fact, I travel with two bags: A small backpack (currently this one) and this “weekender”-sized duffel bag. There are a few seasons for this. 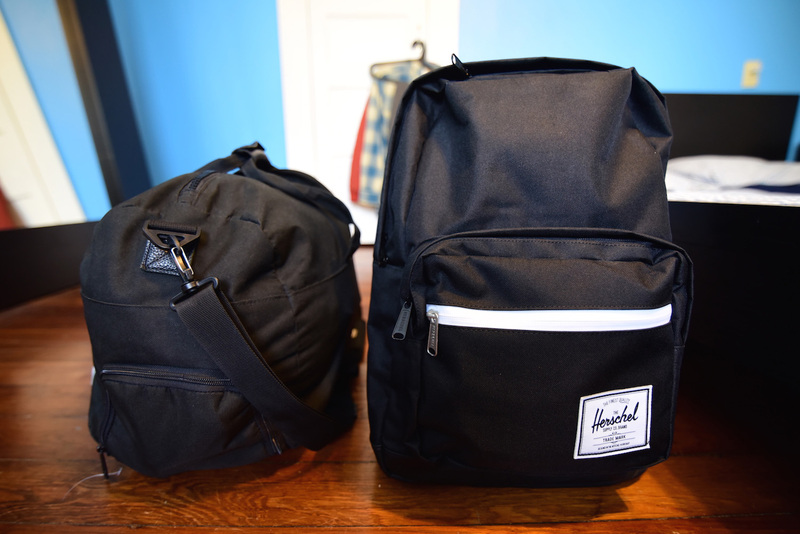 First and foremost, both of these bags are considered carry-ons by all but the world’s most terrible airlines. Secondly, in the event that I do need to let one bag out of my sight, it can be the duffel bag, into which I pack my clothing and shoes. Important items, to be sure, but not as essential as the contents of my backpack, where I store my electronics, travel documents, financial instruments, toiletries and medications. You never put all your eggs in one basket in life—why should travel be any different? One thing readers who take advantage of my Travel Coaching service are eager to know is if I have any items on my packing list they might not think of. You know, the types of things you only realize you need when you’re hundreds of miles from the nearest 7-11. Here’s what I tell them. First and foremost, bring some activated charcoal tablets with you, and take one the moment you start feeling sick to your stomach—this will stop food poisoning in its tracks. Secondly, carry an extra credit card with a totally open credit line and keep it in a hidden part of your bag. Thirdly, bring a photocopy of your passport, in case the original (or your phone, where I recommend you store a digital image of your passport) gets stolen. Finally, bring a pen—I can’t believe how many people forget this one! Packing light is great and all, but if you want to completely eliminate your stress over packing, you also need to learn to pack—and unpack—quickly. 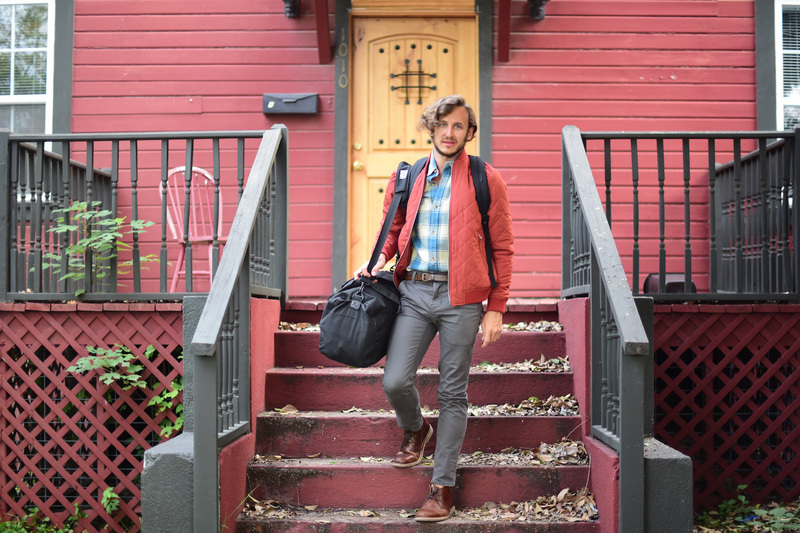 The best way to do this, in my experience, is to get in the habit of unpacking every time you’ll be staying somewhere for longer than a night, with the obvious exception of shared hostel dorms. Beyond increasing the speed and precision with which you pack, unpacking every night allows you to air out your clothing (which is essential between laundry days) and also, to take inventory of all your things. You’ll not only be sure you have everything you started out with, but you’ll gain an awareness of things you aren’t using much or at all, which in turn allows you to pack more efficiently for your next trip. Robert Schrader is the author of 954 posts on Leave Your Daily Hell. Robert founded Leave Your Daily Hell in 2010 so that other travelers would have an entertaining, reliable source of information, advice and inspiration at their fingertips. Want to travel more often? Subscribe to email updates today! informs, inspires, entertains and empowers travelers like you. My name is Robert and I'm happy you're here! Like what you're reading? Sign up to receive my weekly email newsletter – it's like a trip around the world to end every week! I thought a tripod needs to be checked-in? good article! i find packing things that have multiple uses really helpful. for instance, in india the most useful thing i had (which i bought there) was a big cotton scarf. i used it as a beach cover up, a blanket, a shawl, and i even tacked it up over a train window so i could sleep. also, cheap flip flops to wear in public showers are a must for a germaphobe like me! i keep them in their own ziploc bag & toss them when i leave.. I have never experienced this requirement! sorry, this is not for me….i need a proper medicine kit, a knife, a cup, nescafe ,powdermilk,small waterkettle, teabags ,a spoon, a blanket,a towel, a sarong, scissors, a bottleopener….plus electronic equipment, map, writing book, anyway, i am everywhere very independent and without a coffee in the early morning,it will not be my day…….. The liquids. How do you manage to get away with not checking all that in? Any tips on how to pack your camera gear? How do you check in with two bags of hand luggage? Do you travel business class? Most of the times it’s just one bag. Don’t you think washing your clothes is a waste of time? I’m learning the way not to overpack Robert, and gathering as much quality resources as possible to putting up a post about it. As always, you provide quality insights and examples how to preserve the style, and keep enough luggage with yourself. The interesting headline and the bold statement is definitely true, and reachable. Sharing this post immediately, and I’ll link to it definitely. The active charcoal and a pen are such obvious things to have on the road man, and we often forget them. Thanks for your compliments! Good luck on your next trip! Well done. I appreciate the minimalism and you don’t have to wait for your baggage. It turns out I’m even more of a minimalist than you! 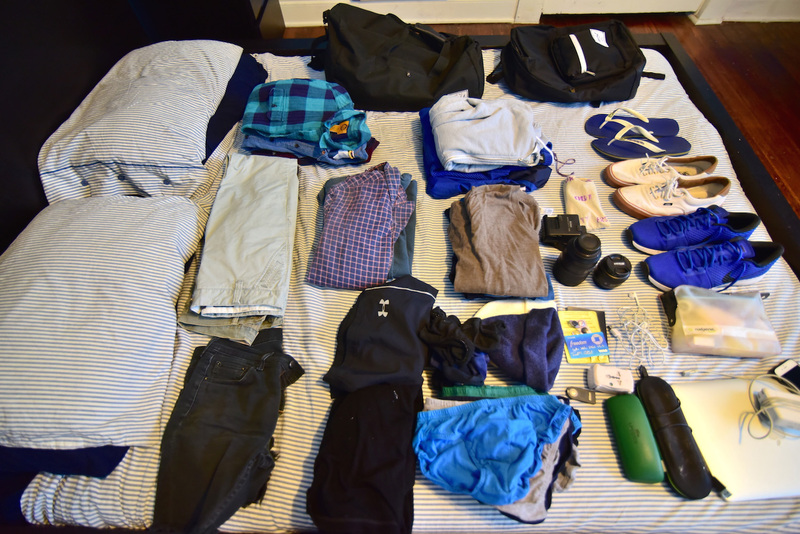 I’m traveling for 5 months though Southeast Asia, and taking just two outfits (including the one I’m wearing) in a small backpack. More than half of the space inside my bag is empty! I took three outfits on a 7-week backpacking trip around Europe (my first attempt at ultralight packing) and two outfits to Japan for 3 weeks. The downside to this is having to do laundry more frequently, but that’s totally overlooked by the convenience and ease of being able to move so freely! Not to mention having to wonder where certain things are. I don’t ever want to pack a big bag again! Makes lot of sense. I have surely learned from you. Thanks a lot. Want to Get Paid to Shop When You Travel? Here’s How.